Abdominal pain and vaginal bleeding can be considered to be the first signs of miscarriage at the start of pregnancies. But, there are no reliable tests to find out which one of these are risky. Hormonal test has emerged as a solution for this. It is said that the ultrasound hormonal test can come up with accurate results. Reliable studies have proven that, ultrasound hormonal testing can even help women from miscarriages if done at the early stages of pregnancy. 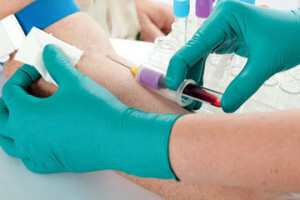 hCG blood test is one of the common tests done during pregnancy. The tests can be either qualitative and quantitative. hCG or Human Chorionic gonadotropin is a hormone produce in the body during pregnancy. The test is to measure the HGC level in the blood. hCG levels are tested as a routine check up during pregnancy. Urine based and blood based hCG tests are also available. The test can give information on the risks involved in certain cases of pregnancies. Variations in the level of hormones like prolactin, progestrone and thyroid etc. may cause risk in pregnancy and may reach in miscarriage. So, it is important to check the levels of all such hormones and make sure that they are normal. If they are abnormal, proper treatments should be given from the early stages itself.